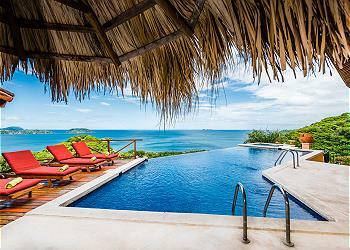 Privacy and unique ocean view with an infinity pool. 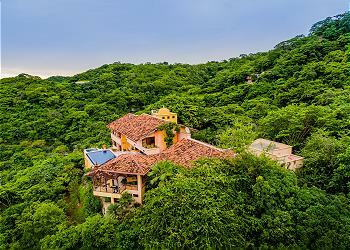 6 BR sleeps 16 With a panoramic vista that stretches from the verdant mountains of Playa Conchal to Isla Catalina, to the twinkly lights of Flamingo Beach by night, Casa Habibi is a private mountaintop retreat equipped with all the modern conveniences and an ocean view from every room (yes, even the showers). IT'S ALL ABOUT THE VIEW Ocean views greet you as you wake up wrapped in sumptuous sheets in any of Casa Habibi's six spacious bedrooms. 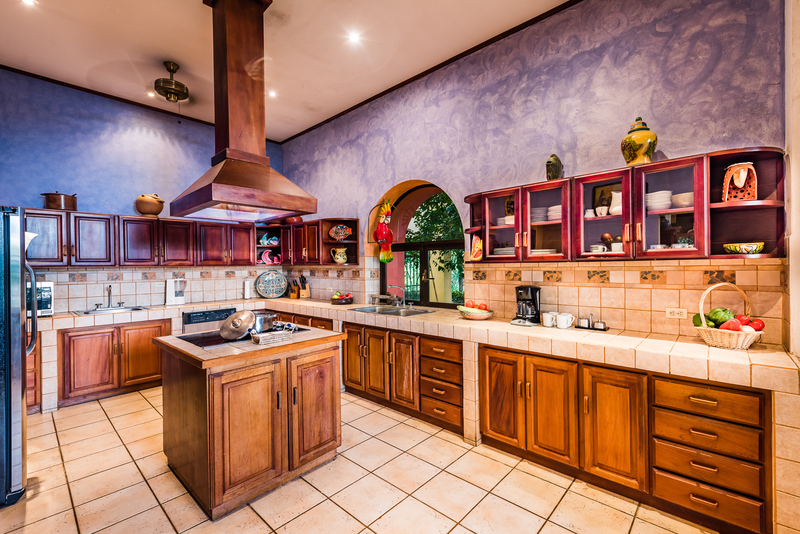 They’re there when you brew coffee at sunrise in the fully equipped kitchen and do sun salutations during morning yoga on the terrace. 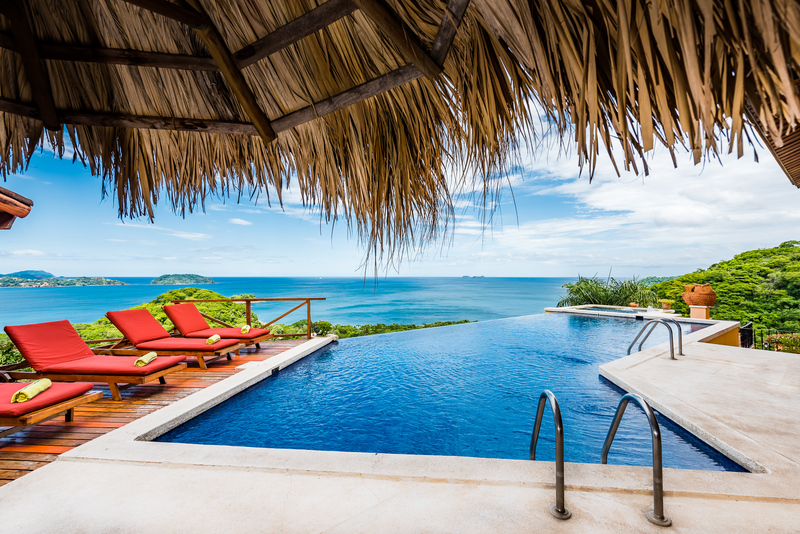 The shimmering sea mesmerizes as you sip mimosas in the perfect-temperature infinity pool and Jacuzzi, watching sailboats bob in the waves below or spotting whales frolicking in the warm Pacific waters (in season). Enjoy watching the setting sun paint the sky in watercolor shades of lilac and tangerine as you grill fresh fish on the barbecue and sit down to dinner at the 10-person outdoor dining table (there’s also an indoor dining room with space for 12). 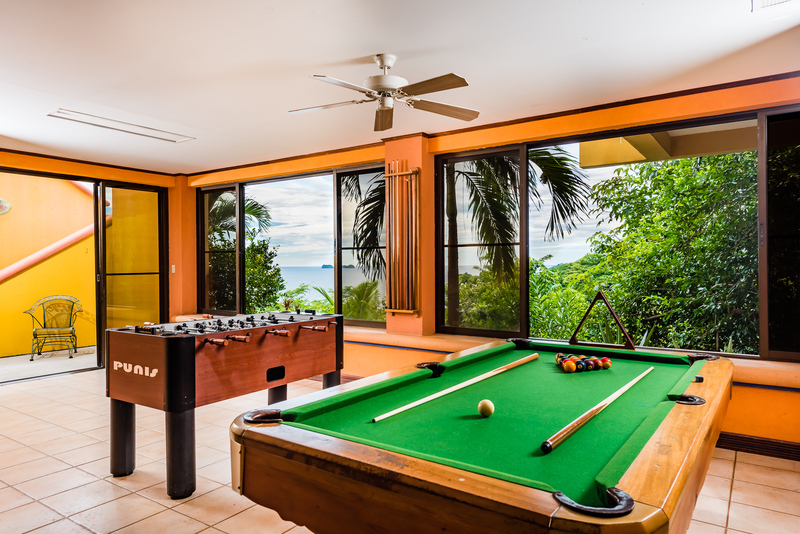 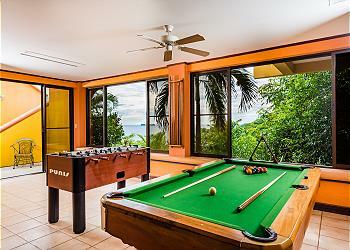 There are even ocean views from the game room—if you’re not too focused sun on becoming the family foosball champion, dominating the pool table or enjoying a movie on the 55-inch plasma TV. 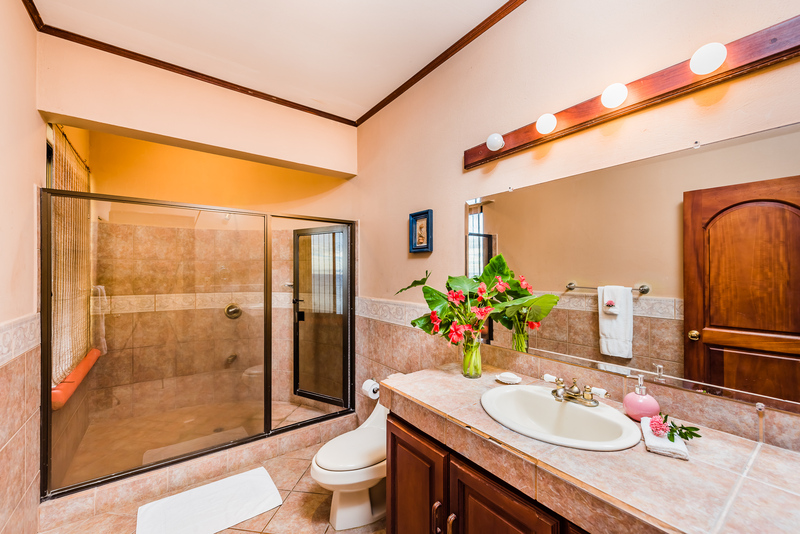 SPACE AND PRIVACY Each of Casa Habibi’s six bedrooms has its own private bathroom, either en-suite or adjacent. 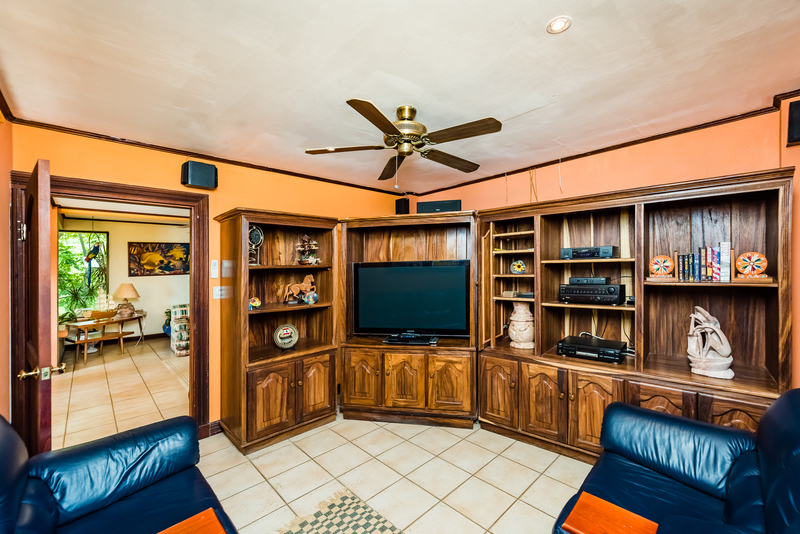 The house is large enough to sleep 16 of your closest friends. 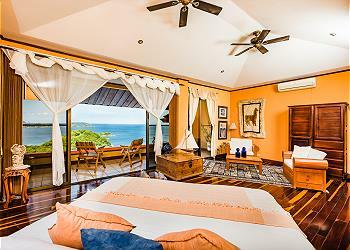 In the third-floor master suite, luxuriate in a king-sized bed, private balcony and Jacuzzi tub. 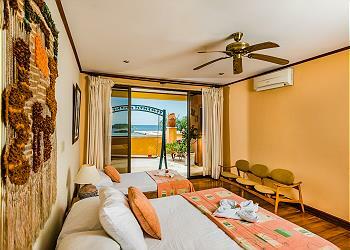 Downstairs, the second and third bedrooms share a balcony, as do the fourth and fifth, located on the next level down. 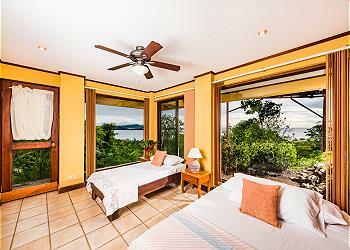 For guests craving extra alone-time, the private sixth bedroom is detached from the house, right below the terrace. 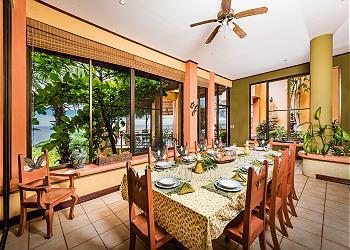 Have an even bigger group of up to 25 people? 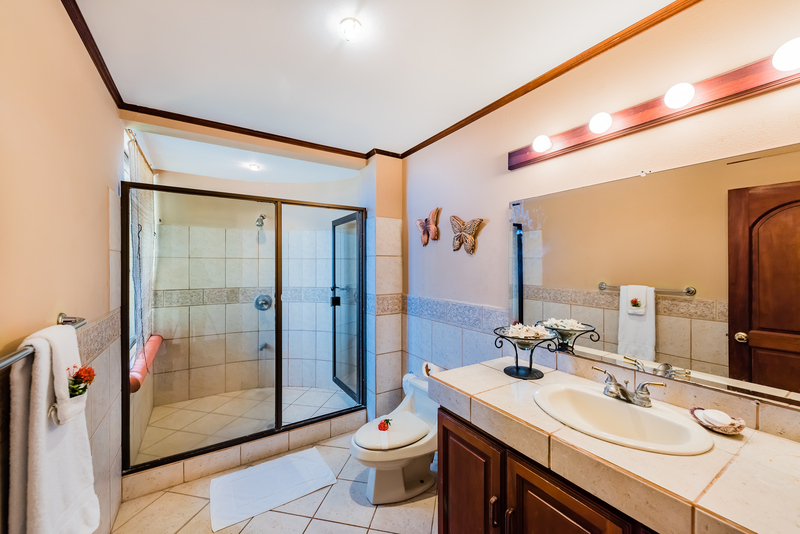 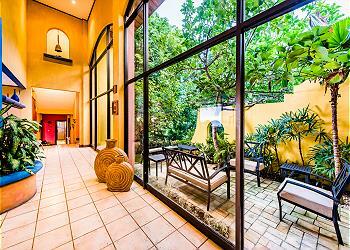 The property has two detached apartments that can also be booked for an additional rate. 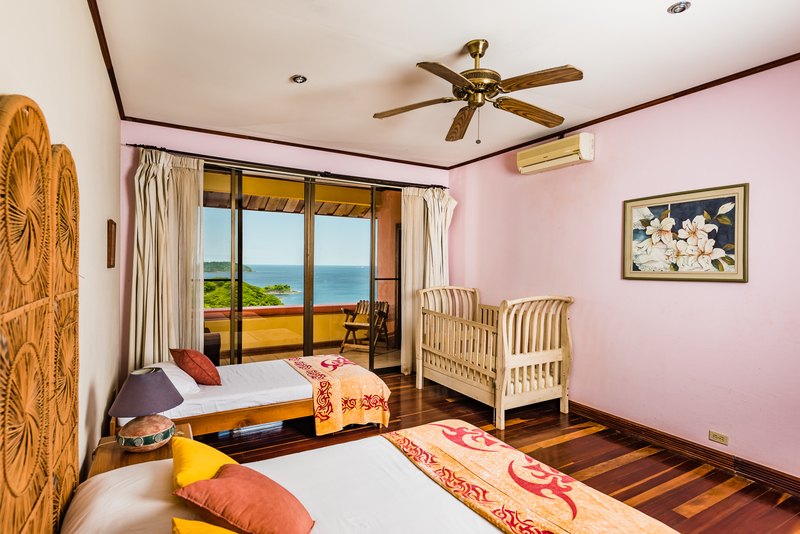 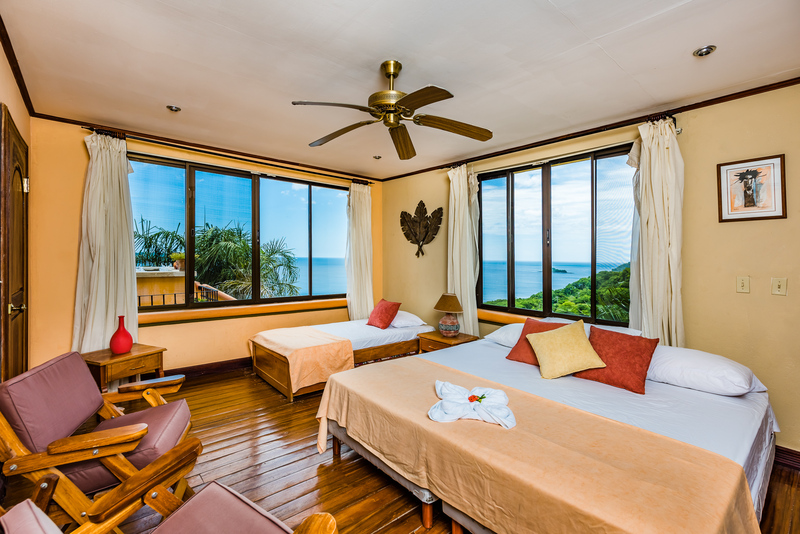 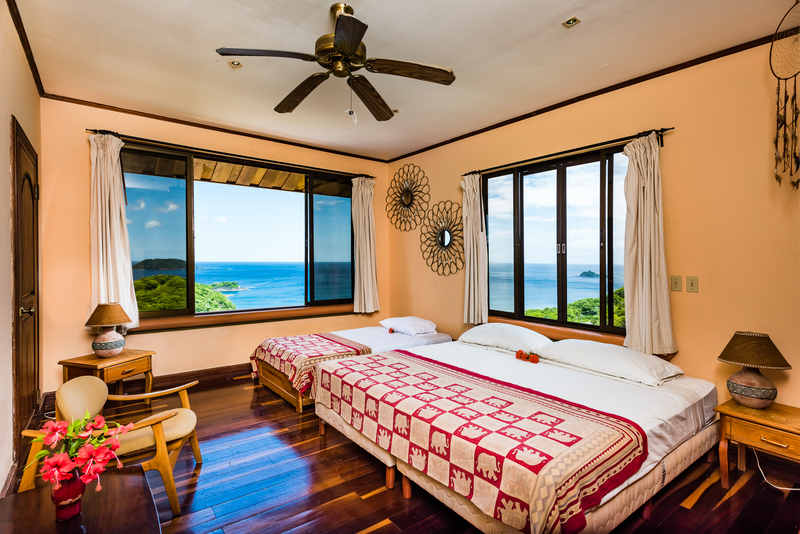 No matter where you sleep, you’ll drift off to the sound of the waves crashing in the distance and wake up to gentle breezes that circulate through the house all day. EXTRAS Casa Habibi is paradise for birdwatchers: You don’t even have to go to the cloud forest, as some of Costa Rica’s most beautiful fauna come right to you (monkeys too!). 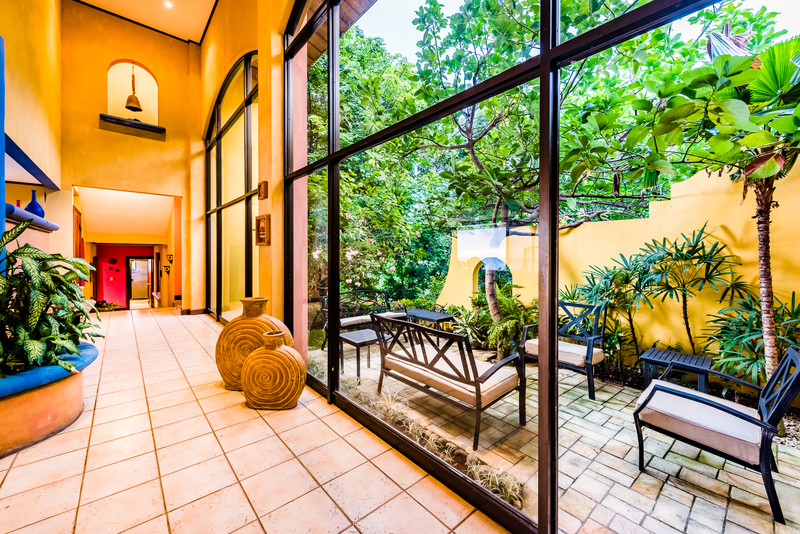 Feel free to roam around the lush gardens that surround the house and help yourself to a mango from our tree. 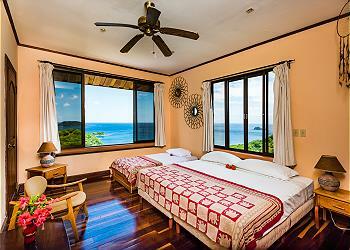 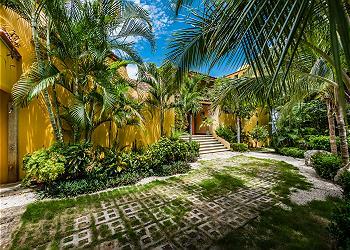 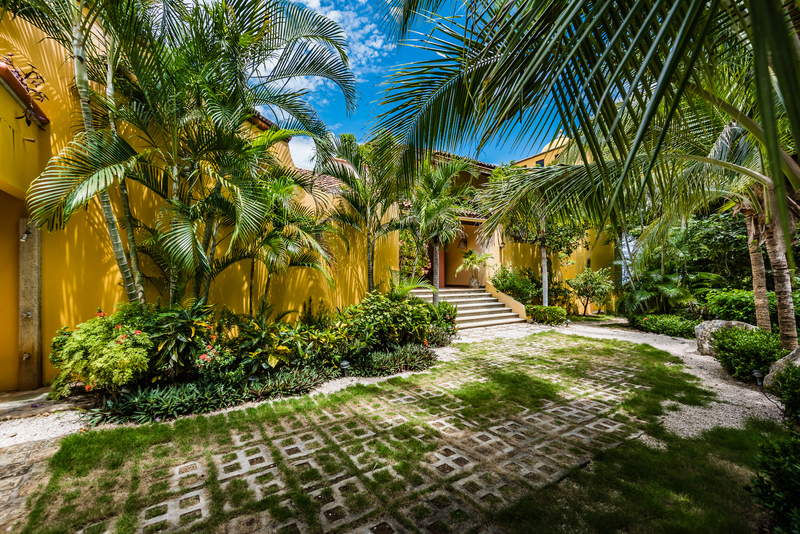 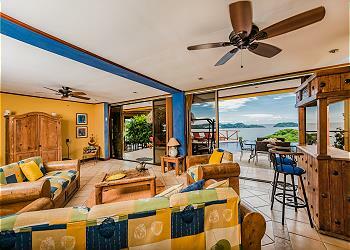 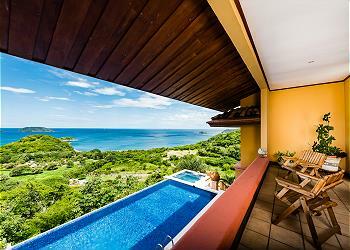 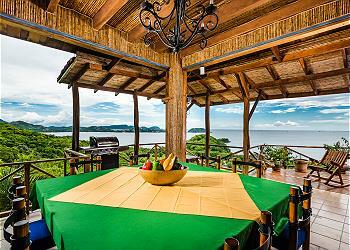 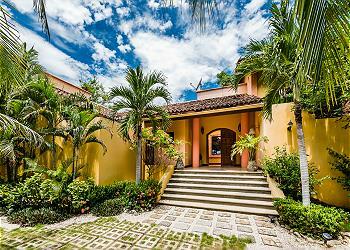 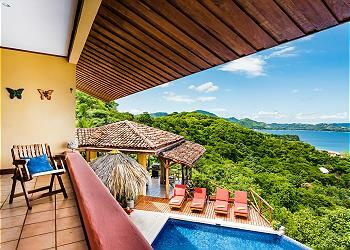 The casa comes complete with on-site staff (maintenance and maid) as well as a concierge service. From arranging transportation from the airport to booking tours or restaurant reservations, we’ve got you covered. 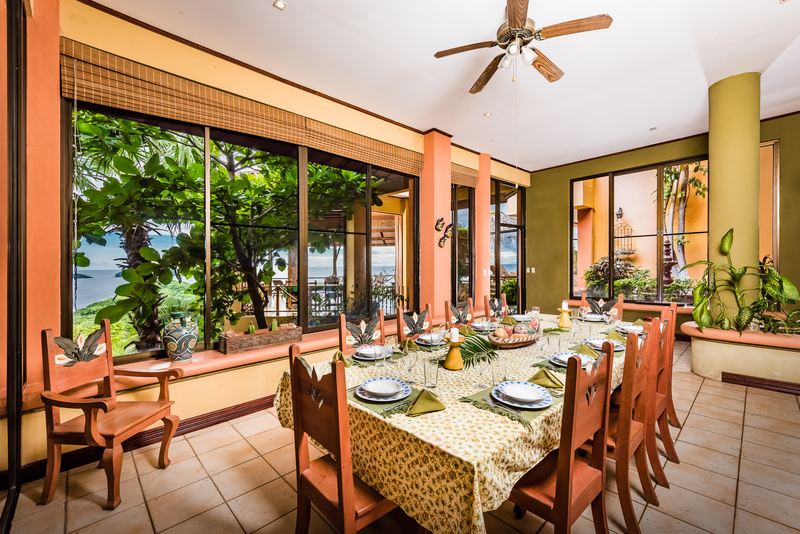 SO CLOSE, YET SO FAR AWAY Just an hour away from Liberia Airport, Casa Habibi is close to everything while still feeling far away from it all. 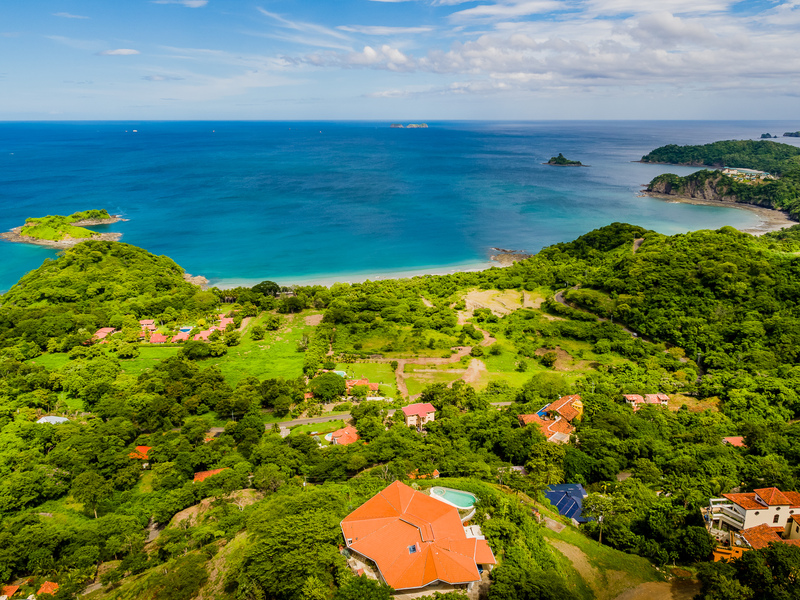 From the house, you can walk to a different beach almost every day of the week. 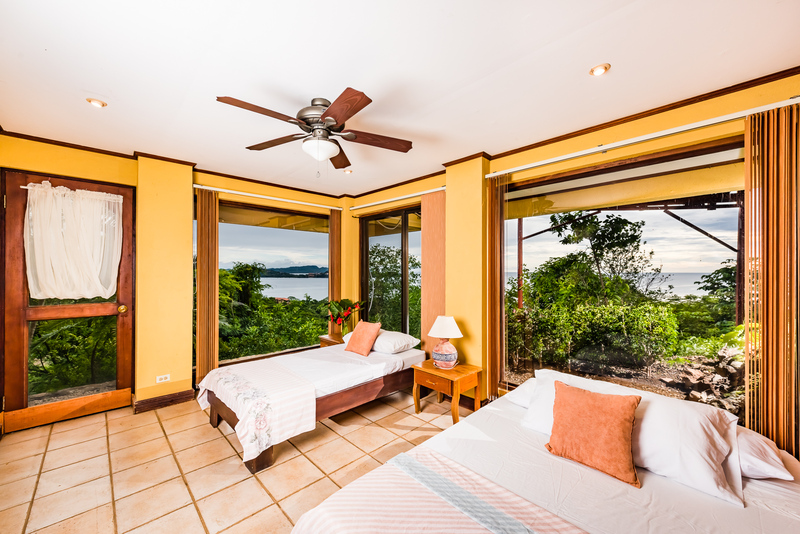 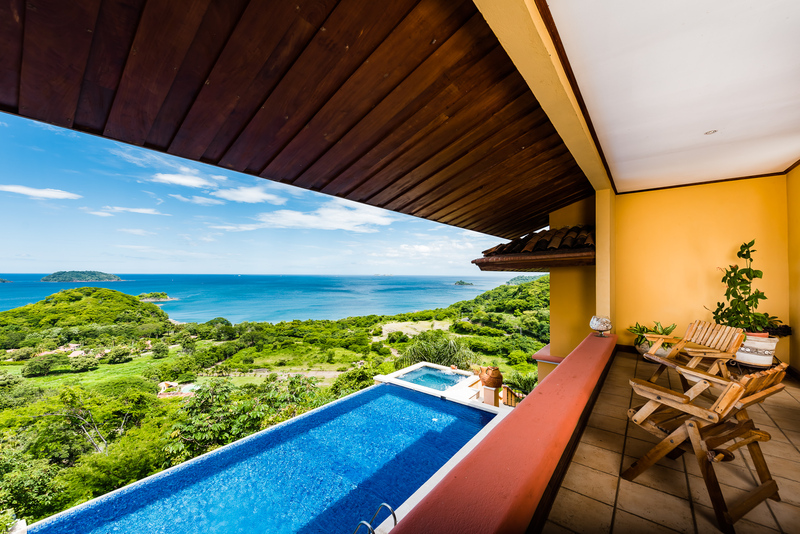 The casa is a 15-minute drive from Flamingo Beach and a half-hour from Tamarindo, home to an array of delicious restaurants, grocery stores, medical services and more. 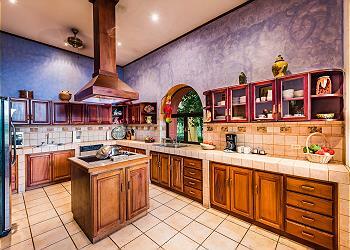 Casa Habibi (loosely translated as "honey/my love") is my wife and my childhood dream come to life. Visiting Guanacaste as kids, we both fell in love with its lush landscape, wild rivers, postcard beaches and the night sky littered with glittering stars. 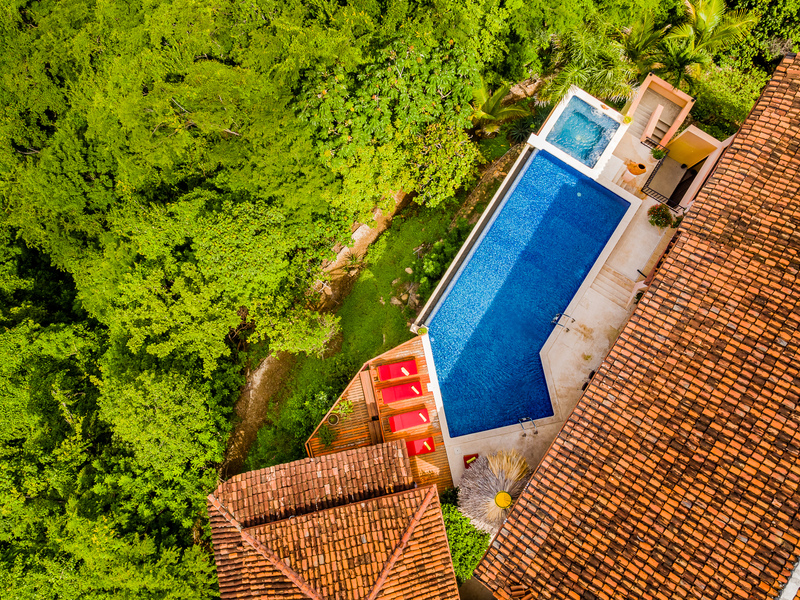 Now that we’ve created our dream home in our dream place, where we’ve enjoyed countless happy summers with our kids, we’re thrilled to make Casa Habibi available to you and your family.